WOULD WE SUCCEED IN 1992? MARGARET BETS THE FARM. 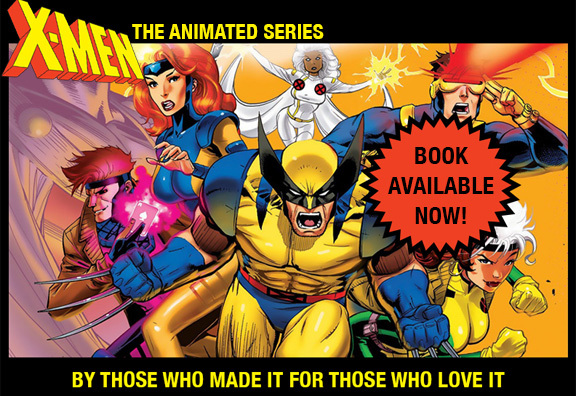 When Fox Kids TV, upstart also-ran among TV networks, committed to the initial 13-episode series of X-MEN:TAS in February, 1992, most people in the business doubted it would succeed. In 26 years of trying, in eleven attempts, no Marvel-Comics-based show really had. No Marvel movies had. New Fox Kids president Margaret Loesch believed that the X-Men would make great TV. The people she had to report to — senior executives, advertisers, TV station owners — didn’t. She put her job on the line to get the show made. It just goes to show what “people know” in the business of popular culture. Not only did X-MEN:TAS become the number one kids show on TV, it pulled number four-out-of-four network Fox Kids to number one in a matter of months. The amazing animated Batman series helped eventually, as did The Tick and Spider-Man and Power Rangers. But it was the premiere season of X-MEN:TAS that rocketed Fox from last to first. Have a look at the Los Angeles Times annual report on kids TV for the ’94/’95 season (our third season). Ten out of ten Fox shows. If you’d seen this report three years earlier, only Fox’s The Simpsons would have been listed, with NBC, CBS, and ABC holding the other nine spots. Every Saturday Morning series on the list had been put there by Margaret Loesch (and supervised by her crazed right-hand-man, Sidney Iwanter). Thanks to Margaret and Sidney, I was able to help on the development and pilot script of Ben Edlund’s peerless The Tick, and Julia was hired to adapt Robert Heinlein’s Red Planet. It was a great time to be working in kids’ TV, and Margaret Loesch made it all possible.